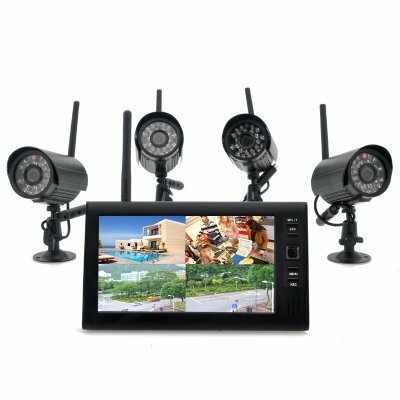 Successfully Added Wireless Home Security Camera System "Securial" - 4x Indoor Wireless Cameras, 7 Inch Wireless Monitor, Built-in DVR to your Shopping Cart. 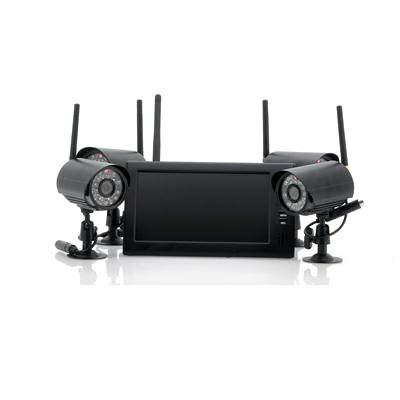 Wireless Home Security Camera System with 4x Indoor Wireless Cameras, 7 Inch Monitor, Built-in DVR and more. Keep your home secured 24/7. Thanks to the “Securial” wireless home security set, you will be able to keep an eye on your house day and night in a simple and easy way. Coming with everything you need to get started, this kit guarantees that all the cameras and the wireless 7 inch monitor will seamlessly work together and will save you the headache of having to assemble compatible hardware. Ready to go straight out of the box, all 4 indoor cameras can be mounted easily and only require a power cable to be connected. The video feed transmission between the cameras and the 7 inch monitor with built in DVR is done wirelessly and this up to a range of 300 meters. To record the footage, a micro SD card of up to 32GB can be inserted in the video monitor and thanks to the cycled recording feature, the “Securial” can keep recording in loop. At night, 24 IR LEDs will automatically turn on providing a 15m night vision range and being wireless, the monitor can easily be placed in different locations around your property. Secure your home today with this ultimate home security set. Now in stock, the “Securial” can be shipped out within one working day and comes with a 12 months warranty. Brought to you by the leader in wholesale CCTV cameras, Chinavasion. Setup straight out of the box, no instructions needed. THANK YOU FOR THE EXTREMELY FAST SHIPPING. THE ITEM I ORDER WAS THE CAMER SYSTEM, IT LOOK BIG IN PICTURE AND LOOK TINY SMALLER IN REAL ONES. THAT IS GOOD. WE DON'T WANT THE CAMERA TO BE TOO BIG THAT EVERY BODY WONDER AND QUESTION ABOUT. SMALLER THE BETTER. Only the date and time dont work corectly but thats all.